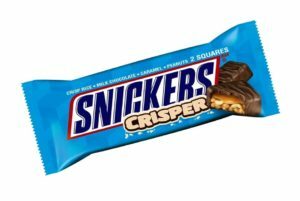 The MARS chocolate factory in Cherdakly County, Russia’s Ulyanovsk Region, has launched manufacturing the SNICKERS® Crisper candy bar. The factory is Russia’s only enterprise to produce this variant of MARS bars. “MARS is our long-time and stable partner which is constantly developing and boosting its production. The investor has put a total of RUR 10 bln ($137.7 mio) in the projects implemented in our region. The company creates new jobs on a regular basis and replenishes our budget with various tax payments. Currently, over 600 residents of the Ulyanovsk Region are employed at local MARS enterprises. Budgets of all levels annually receive taxes of over RUR 1 bln ($15.6 mln). The region will further support such partners and improve investment climate to provide favorable conditions for their activities. In particular, this year we were among the first regions in Russia to adopt a law on securing the investments that ensures stable conditions for investment activities”, Ulyanovsk Region Governor Sergei Morozov noted. The company has already installed new equipment at the factory, the investments totaling over RUR 500 mio ($7.8 mio). The first candy bars will appear in stores this May. The new product will be available not only in the Russian market; the plans include establishing exports to the UK and Germany. By the end of 2019, the bars manufactured by the Russian factory will hit shelves in more than 20 countries and in over 50 countries by mid-2020, including such remote states as Thailand, Malaysia, and Australia. “Launching the new product at the factory in Cherdakly in MARS company’s global project, which has required additional investments of over RUR 500 mio for new production equipment. The technology is unique; I am very happy that our factory in the Ulyanovsk Region has become the facility to implement this project”, MARS Wrigley Confectionery Director Andrei Yakovlev commented. The factory employees 340 people, most of them being residents of the village of Cherdakly. The enterprise manufactures Bounty, Mars and Milky Way bars, as well as Mars, Milky Way and Snickers minis. “Since the moment the first investment agreement was signed between MARS company and the Ulyanovsk Region’s Government ten years ago, the investor has implemented four major projects in the region. These include building a confectionary manufacturer, a regional analytical laboratory, a factory producing dog and cat wet food, and a center for pet nutrition research. The first stage of the latter project – opening a breeding cattery – was completed in October 2018; the next stage is building a dog kennel. In Ulyanovsk, MARS company built a facility to produce packaging for pet food manufacturers”, Ulyanovsk Region Development Corporation Director General Sergei Vasin said.